Karin Fossum is one of those authors whose books I kept meaning to read, but I never seemed to find the right moment. When I caught wind of the excellent reviews her newest title to be translated into English was receiving, I knew this was the perfect time to jump in – and I’m so glad I did. HELL FIRE is a very different strain of Scandinavian crime fiction from my usual reads. 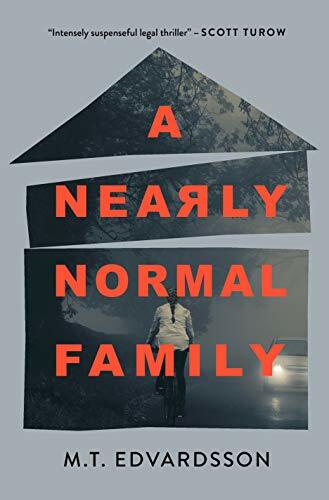 Fossum has written a police procedural/family drama hybrid – and wow, does she do this well. This book is a police procedural, make no mistake—but its deep dive into the lives of its characters make it foremost a moving and tragic portrait of innocence lost. Inspector Konrad Sejer wasn’t prepared for the gruesome sight that awaited him when he was called to the crime scene. In a small camper, a woman and young boy lay dead in pools of their own blood. The details of the case are mysterious: neither robbery nor sexual assault appears to be a motive. Who would brutally stab a defenseless mother and child? Meanwhile, in a parallel storyline, readers follow a woman and her troubled son—a pair with secrets of their own, whose tumultuous past might tie in with the story’s central crime. As a newcomer to Fossum’s series, my opinions on this book must be seen just as that: opinions on this isolated story, not the series as a whole. I was thrilled to discover that I had no trouble jumping into HELL FIRE—Fossum does an excellent job of providing any relevant information regarding recurring series characters and themes. I was slightly disappointed to discover that I didn’t find Inspector Sejer to be a particularly compelling character on his own—he’s no Harry Hole or Patrik Hedstrom (of Nesbø and Läckberg’s series, respectively). However, when woven into the larger storyline, Sejer’s clinical voice and somewhat limited characterization provided a satisfying contrast to the highly emotional and developed characters explored in the storyline parallel to the investigation. Fossum puts energy into developing the characters of both the victims and the mysterious mother-son duo to great effect, and I discovered that I was glad to have the Inspector Sejer chapters focused on investigative details, rather than further character development. The parallel storyline, rather than the police procedural aspect, is where HELL FIRE really shines. Fossum develops a rich backstory for the victims at the story’s center, and expertly weaves in the lives of the mysterious woman and her son, leading readers down an intriguing path to discover how these lives all cross. This book isn't so much about the "whodunit," but about uncovering the individual stories of each person involved in the crime. Fossum’s writing has a touch of classicality to it that will make this book an immensely enjoyable read for fans of Henning Mankell. (This is no surprise to seasoned Nordic Noir readers – Fossum herself has been writing for over two decades!) This book doesn’t have the grit and urgency of my favorite Nordic Noir books (think Nesbø and Larsson), but it has beautifully fleshed out characters and deliberate plotting that will absorb readers looking for a slow-burning, highly emotional crime novel. HELL FIRE releases August 30, 2016, from Houghton Mifflin Harcourt.